From a feature about the life and times of King Henry V including his famous victory over the French at Agincourt. 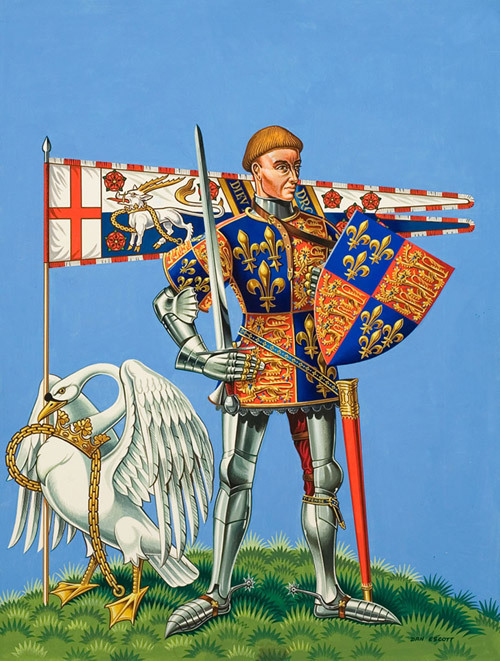 The painting is one of the best examples of Dan Escott's hyper-detailed and stylised heraldic images. This is the original artwork for cover of Look and Learn issue no 514 (20 November 1971).